Join Ron Bodycoat and RWAHS members to revisit historic places in Old Guildford Town. Date: Monday 14th May at 10.30 am. Location: Meet at the Swan Valley Visitors centre. The walk will include the Court House (now Visitors Centre), Old Gaol, Mechanics Institute, Wesley Chapel, Town Hall, Garrick Theatre, St Matthews Church and Parkland, the old Bridge site and river crossing, Barker & Gull’s Warehouse (c1854) and lunch at the Rose and Crown Hotel. Walk for one to one-and-a-half hours. Self drive to Guildford or train – plenty of parking near the Courthouse and gaol. Pay for your own lunch following the walk. Numbers are limited to around 20 so book early. This exhibition draws on the Society’s collection to tell stories that reflect the rich mix of cultures that have shaped Western Australia’s history, both before and after colonisation. All Western Australians, no matter what their heritage, have stories and treasured memorabilia that are integral to Western Australia’s history. The exhibition tells some of the many stories which make up that history by showcasing items from the rich collection of the Royal Western Australian Historical Society. There are stories of discoveries, explorations and changing attitudes to the land, of prosperity and poverty, of personal and family struggles, triumphs and tragedies, of bush and town, and the cycle of lives. This exhibition draws on the significant Royal Western Australian Historical Society library and museum collection, and the scholarship of its members, to present the kaleidoscope of Western Australian lives. This is a great program run by Grill’d to support local community groups. Treat yourself to a burger this month and make sure you tell family and friends to do likewise and to put a token in the Fremantle History Society’s jar. We have participated in this program for the last few years. It is a great way to add some $$ to our coffers to help support our programs – especially our Studies Journal, a truly remarkable effort for a small local history society and a great way to get people thinking about Fremantle’s history and heritage; one of the key objectives of our society. We’ve been selected to participate in Local Matters at Grill’d Fremantle this April! We’d love your support in receiving the highest $300 donation! Simply head to Grill’d Fremantle during April for a burger and pop your Local Matters token in our jar. The group with the most tokens at the end of the month receives the largest donation. Our April meeting tackles an interesting subject and one often debated, particularly in Fremantle. Come along to learn more from other sides of the equation when the redevelopment of heritage buildings is on the agenda. 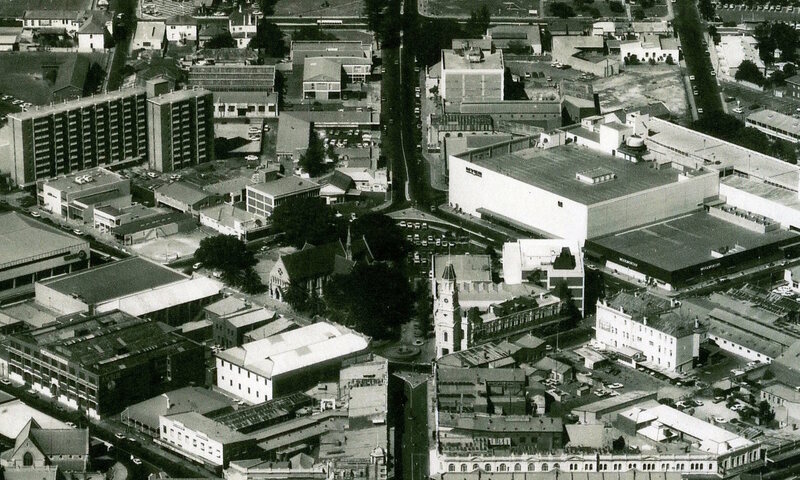 An open forum on the ‘redevelopment of heritage buildings in Fremantle’ will be held using the Atwell Arcade’s redevelopment as a focus. Fremantle’s diverse character has evolved since settlement in response to social, economic and technological changes and more recently, containerisation. It is necessary to identify just what it was that made Fremantle a diverse and viable place in order to successfully plan for the future. Can the heritage values of the city be successfully incorporated into the regeneration process without being compromised or eroded? Alan Kelsall, Heritage Coordinator for the City of Fremantle, and Gerard O’Brien, owner of Silverleaf Investments, will join the forum. There will be a chance to look through the redevelopment as part of the meeting. A key element of the Atwell Arcade is the iconic Culley’s Tea Rooms. Culleys have agreed to open for the evening for viewing and a delicious supper. Meet at the High St end of Atwell Arcade on Thursday 26 April at 6.00pm. Meeting costs include a sumptuous supper at Culleys. $15 for members and $20 for non members. Bookings are essential to ensure Culley’s are able to supply our supper. Please book by putting the following code into your search engine (google). This will take you to the Eventbrite page for our meeting and you can purchase tickets on line. This event is part of the National Trust’s Australian Heritage Festival. Over 120 events are being held across the state and for those of you travelling interstate, the Australian Heritage Festival will be offering events across Australia from 18 April – 20 May. For more information on events go to australianheritagefestival.org.au or look out for festival programs.